For every 1$ donation, 1$ is devolved to projects benefitting children in need. Unesco’s Education for All Monitering Report 2013/14 paints a bleak picture of the progress made in the field of education. According to the report, basic education today is currently underfunded by 26 billion while aid continues to decline. Furthermore, we will likely miss the Millennium Development Goal 2 target of universal primary education in 2015 by a wide margin. Although significant progress has been made since the year 2000, it has slowed down in recent years, and in 2011 there were still 57 million primary school age children and 69 million adolescents out of school. Another tremendous challenge is poor quality education as tens of millions of children who are in school are not learning basic skills, a failure that is costing governments 129 billion US$. With 2.4 billion people living on less than 2 US$ a day of which 1.2 billion on less than 1.25 US$ a day (World Bank), one in eight people are going to bed hungry, one in four children under age five are stunted and one in six are underweight (Unesco). With 10.9 million children dying every year (World Hunger Statistic), over 700 million people lacking access to safe improved water (Unicef), and many of the less developed countries lacking basic school infrastructures, it becomes very clear that barriers to education in the developing world are multiple. The solution to providing quality education must also address challenges concerning underprivileged children’s access to health, sanitation, nutrition, school infrastructure, teacher training and preparation, as well as poverty issues. From the start, the Pistorio Foundation has maintained a holistic approach to ensure that all of our beneficiaries have access to quality education, as well as to basic health care, sanitation, and nutrition. This is to maximize the rate of success in school as illness and lack of adequate nutrition negatively impact academic performance. In addition to providing comprehensive long term scholarships, the Foundation builds and improves school infrastructures, provides kitchens, canteens, sanitation facilities, and clean drinking water. Looking back at the progress of the Foundation since it was set up in 2005, we are proud of the Foundation’s achievements. To date, we support the education of over 2,000 underprivileged children and have completed over 40 infrastructure projects benefitting more than 32 village communities and positively impacting over 70,000 indirect beneficiaries in four countries: Morocco, Burkina Faso, Thailand, and Cambodia. Of the direct beneficiaries we have been supporting in the past seven years, 217 students have already completed professional school and most of them are working and earning on average three times their families’ income. Most of them are helping to support their families and younger siblings. Some have even asked to support their younger sibling’s scholarships. 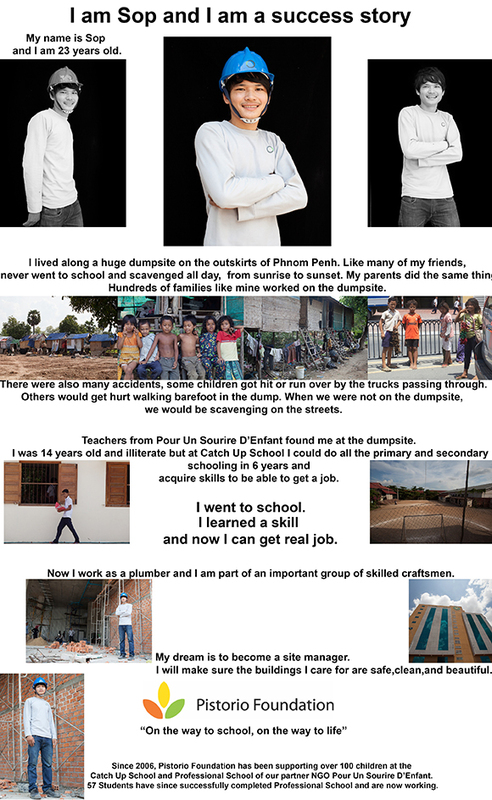 Thanks to education and a Professional School Degree that has allowed them to find a fairly paid job in reputable companies, these youngsters have effectively managed to break their families’ intergenerational cycle of poverty. They are helping to support their family members, they have bright futures to aspire to, and their future generations will not be born into a life of extreme poverty. The Pistorio Foundation ensures that every beneficiary completes their education at least until they obtain a Professional Degree. On a case by case basis, depending on their needs and school performance, for those who wish to continue to University, we will also support ttheir university education. For all our scholarships programs, the Foundation monitors the level of education and success of the program through a number of Key Performance Indicators: rate of absence of teachers; pass rate of students; retention rate of students in the scholarship program; grade results compared to national average; test scores compared to national average; and qualifications of teachers. There is also a continuous dialogue with school staff, teachers, beneficiaries, and families to assess the progress of students. 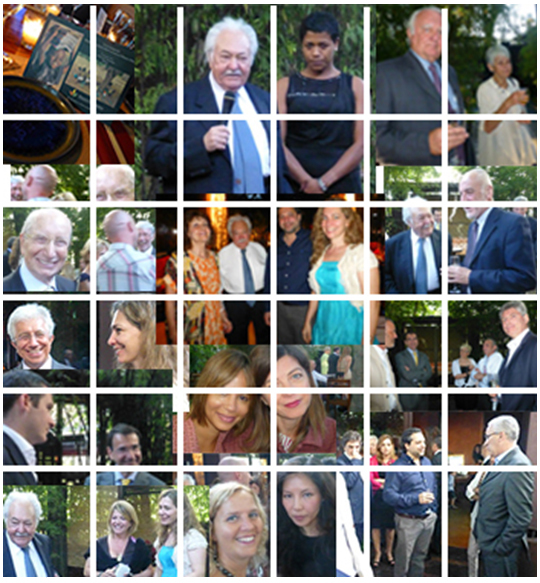 The Foundation’s results have been achieved whilst operating on a volunteer basis: marketing, fundraising, and administration functions have been managed and run entirely by volunteers, and the fees that resulted from these activities have been absorbed throughout the years by Board Members and private individuals. On the ground we have partnered with grassroots organizations, and monitored and audited projects through our volunteer network. With an average Foundation budget of 500,000 CHF per year in the past seven years, 100% have been channelled to projects on location, primarily infrastructure projects and scholarships for impoverished communities. At the same time, our yearly administration/legal/banking fees have not exceeded 15,000 CHF on average per year and the latter have been absorbed by Board Members. 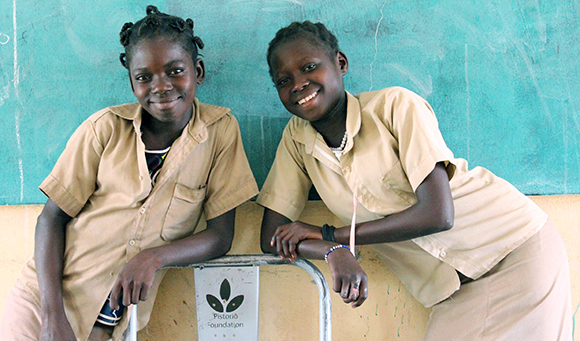 For every $1 donation the Foundation has received from private individuals and companies, $1 has gone directly to fund scholarship and infrastructure projects benefitting children in need. All donations have been effectively devolved to funding underprivileged children’s scholarships and infrastructure projects. Our donors’ contributions are in fact a direct line to our beneficiaries, allowing for maximum efficiency for every dollar donated, directly empowering underprivileged children and giving them back their inalienable right to education and hence to life. Since 2012, we have increasingly concentrated our efforts in Thailand, our flagship project, where we have developed a distinct village project. In addition to providing clean drinking water, sanitation, school infrastructure, and scholarship support to minority hill-tribe villages, we also help improve the standard of living of families through agriculture and income generation project. This allows us to lift entire communities out of poverty, so that they become self-sustainable in the medium term. To oversee the scaling up of our model which has proven successful in a number of villages that have been effectively lifted out of poverty, and where now over 90% of families are able to support their children’s education, we have enlisted a new Country Manager, Giovanni Santavicca in Chiang Rai. Giovanni has over twenty yearsof experience as a project manager in international cooperation and development in the areas of education, agriculture, and water supply, among others, for international NGOs such as CIAI (Centro Italiano Aiuti all’Infanzia) and GVC (Civil Volunteer Group). As per our by-laws, the Foundation has committed to not spending more than 10% of its budget on administration costs. Since its inception, this figure has been less than 1%. This year, in order to meet its current demands for growth, we have decided to begin building capacity in Italy as well. We will endeavour for administration costs to be met by interest earned on capital and by corporate donations so that all private individual donations will continue to be devolved entirely to children’s scholarships and projects benefitting children in need and $1 donated will be $1 used for underprivileged children’s projects. We are very grateful to the work of our volunteers worldwide, involved on the field or in fundraising and administrative activities, to all our sponsors and supporters who have allowed us to raise nearly 800,000 CHF in the past seven years, that have been entirely used to fund children’s scholarships and school and village infrastructure projects. We are firmly convinced that education is neither a gift nor a privilege, but an inalienable birth right of every single human being which they cannot be unjustly deprived of. We consider the current state of the world’s children, with hundreds of millions of children deprived of their basic rights, an urgent global crisis that must be addressed swiftly by the private, non-profit, and public sectors without delay and with all available means and resources for these children’s future but also for world peace. True to our motto, “On the way to school, on the way to life”, we believe that empowering children, one at a time, with an education until at least Professional School so they have a skill to find work, and lifting villages out of poverty, one at the time, are the solutions to poverty and immediately giving children back their right to education and therefore to life. Infrastructure Projects Completed: Nibagdo Primary School enlargement including school kitchen, canteen, sanitation facilities; Sogpelcè Secondary School, including Sanitation Facilities, School Water and Electric Systems, Library, Computer Room. 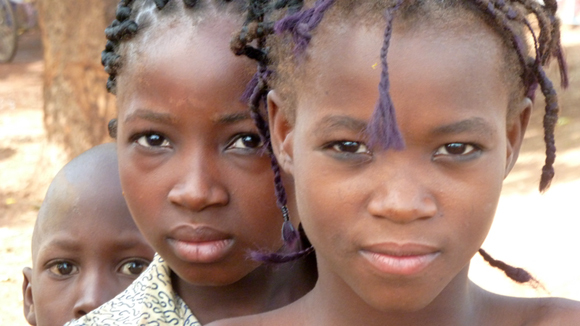 Burkina Faso is one of the poorest countries in the world with 50% of the 18.4 million population living below the poverty line. The literacy rate is 29%, and life expectancy is less than 50 years (CIA Factbook). Due to limited natural resources and a high population growth, the economic prospects of the agricultural based economy are poor. Currently the Foundation supports the education, basic health care, and basic nutrition of 75 students in the region of Boulkiemde’, of which 45 are girls. The Foundation has completed a Primary school project and a Secondary School project which currently holds over 500 students and caters to tens of villages for a total population of 70,128 people. The secondary school consists of 7 classrooms, administration offices, library, computer room, reading room, and director’s lodging. Our scholarship support covers costs of uniforms and shoes, school supplies, meals in school, medical assistance, micronutrients, vitamin supplements, anti parasite medication, soap, and hygiene training. Our secondary school is considered one of the best in the region. There is no canteen in the secondary school, as students are given a meal allowance and purchase food from local village vendors, hence supporting the small local businesses. Because of the high demand for new enrolments at the Secondary School, we have decided to support the expansion of the school. A fundraising event was held in Milan, Italy, to this end, in June, and over 20,000 Euros were raised to create an extra classroom and an electric system and clean water supply system for the school. Other partners will be funding additional classrooms. Our local partner CIAI is also collaborating with a micro credit non profit organization AGD to provide income generating opportunities to families of Nibagdo and eight neighboring villages, such as preparation and sale of meals, eggs, sprouted millet, cereals, corn flour, and hand-woven handicrafts, among other activities. The schools follow the national curricula with qualified teachers and school staff supplied by the government. We have also provided teacher training to these teacher to improve the delivery of lessons. The quality of education is very high, and absence rate of teachers is less than 10 days a year on average. Most of the parents of the children we support are agricultural workers. 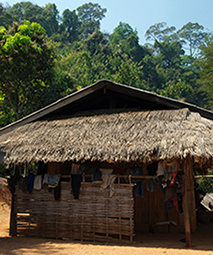 They live in small village clusters of huts. At home they receive only one meal a day, in the evening, usually “ to’ ” – made of millet or sorghum. The meal at school consists of rice and beans, and they receive nutritional supplements in certain times of the year at school. At home, children help their parents with housework, cooking, looking after younger siblings, fetching wood and water, and going to the market to sell eggs or dolo’, millet beer, at the nearest market. Kabore Wendyam Habibon is 17 years old and is from the village of Savilli. She is in grade 9 at the Secondary School of Sogpelce’ Village. 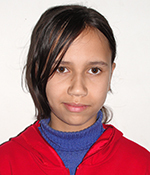 She is a boarder student, staying at the dormitory of the school with seven other girls from her village. Her dream, like her girlfriends’, is to travel and move to Canada or America. Each girl has their own family bicycle with which they return home every week-end, riding for about one and a half hours. They return to their dormitories on Sunday afternoons. The Foundation supports their rent at the dormitory which is about 4 Euros per month. Some of her friends from other villages like Nibagdo come to school daily, waking up at 4.30 am to reach school which starts at 7 am, but they are all very enthusiastic about their opportunity to learn and access education. Our project provides National Non Formal Education to children of extremely poor families who have dropped out of school and would otherwise be unable to attend school. The program’s objective is to allow them to catch up with the national curriculum and after a two year cycle at the Centre, reinsert them into the public school system. Many students over the years that have joined our program had been out of school for so many years that they need to learn again how to read and write. The project supports children of ages 8 and above. They come from broken families and most of their parents are illiterate. Although they can be readmitted in the public school system after two years, due to violence in school, some have asked to prolong their stay at the center. In a few cases, older children have been allowed to continue attending the program and we subsequently admit them to the public Professional School. 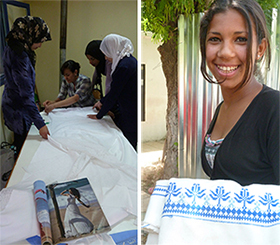 At the center students study maths, Arab, Berber, and French and follow vocational training classes ranging from wood carving, to tailoring, hairdressing, and IT. They are also exposed to music, drama, and art classes, as well as to cultural and sports competitions and cultural and recreational excursions in the region. They are able to thrive in a nurturing environment that helps them catch up in their academics as well as regain self-confidence and hope for a better future. Students are also provided with internship opportunities in local businesses. Beneficiaries receive one meal in school and basic health care. 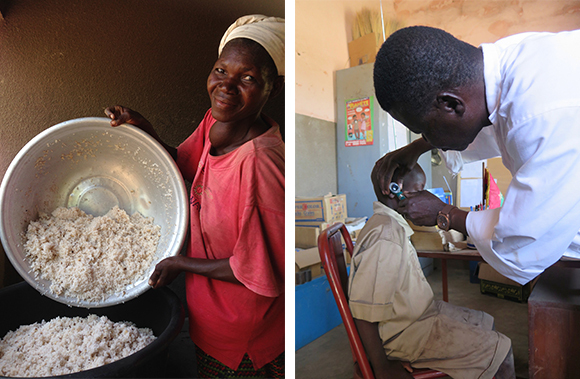 They learn about dental care and basic hygiene and receive ophthalmology check ups. Students are given awareness sessions on nutrition, environmental protection, issues concerning smoking, drug use, Aids, violence, children’s rights and violation of children’s rights. We support teacher’s salaries, meals in school, backpack, school supplies, cooking staff, trainers, field trips, sports and cultural events, and general running costs of program. Several of their mothers also receive literacy, numeracy and vocational training classes at the center to help improve their income generating capabilities. They also have access to health screenings at the Azrou Center. 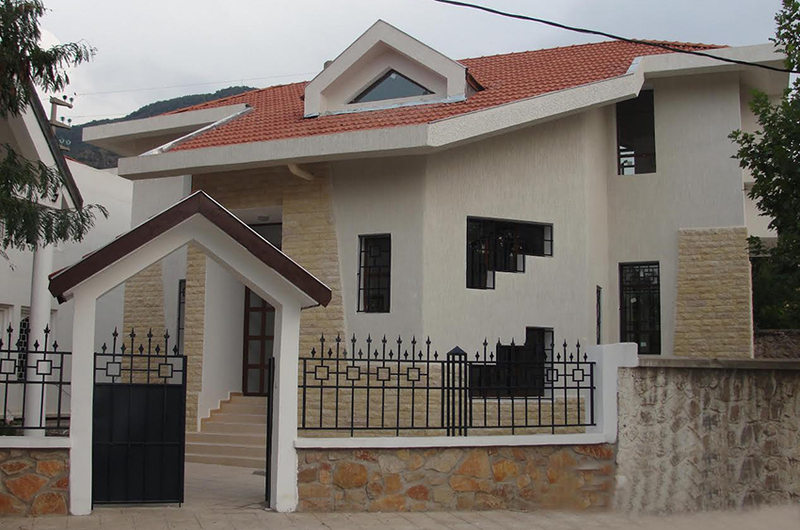 This year we have completed the new building that will provide ample facilities for the classes and courses of the program. Realized in partnership with a number of local organizations, the building has now opened its doors and includes two classroom, one workshop room, one library, one computer room, and one canteen and kitchen. A neighborhood in Azrou where some of our students and their families live. 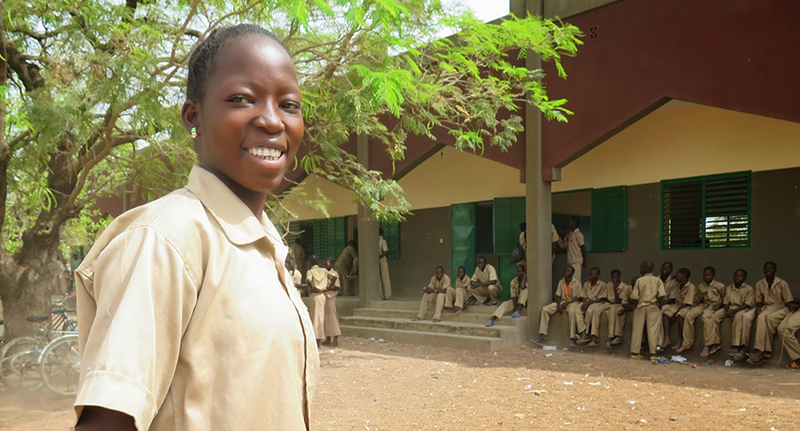 “I left school many years back and thanks to this program I was able to resume my studies and at the same time have access to vocational training. After two years I was admitted to the Azrou Institute of Vocational Training in “Joinery Wood and Aluminum”. This year I will be able to obtain my degree and fulfil my dream! The results for 2013 have been outstanding. In 2012 we had 7 new students admitted to Professional School. This year, we had 1 boy readmitted to primary school, 4 boys and 2 girls admitted to secondary school, and 5 girls and 7 boys admitted to vocational training. Unfortunately, 12 children have dropped out because of illness and family relocation, and a few because they have preferred to go back to work to support their very poor families. We will strive to find solutions so that such children can come back to the center. One of the barriers for some students is the distance to the school which in the long run demotivates them. One solution we will look into is purchasing a bus that can pick up students living in very remote areas so that transportation does not become an insurmountable obstacle during the snowy winter season. The Program boasts excellent teaching staff, with a very low student teacher ratio of 20 (national average is between 30 and 40), so that more individualized attention can be given to students. Students break up into even smaller groups for vocational training classes. Absentee rate of staff is less than 5 days a year, despite the fact that some of the teachers come from far away to teach at the center. 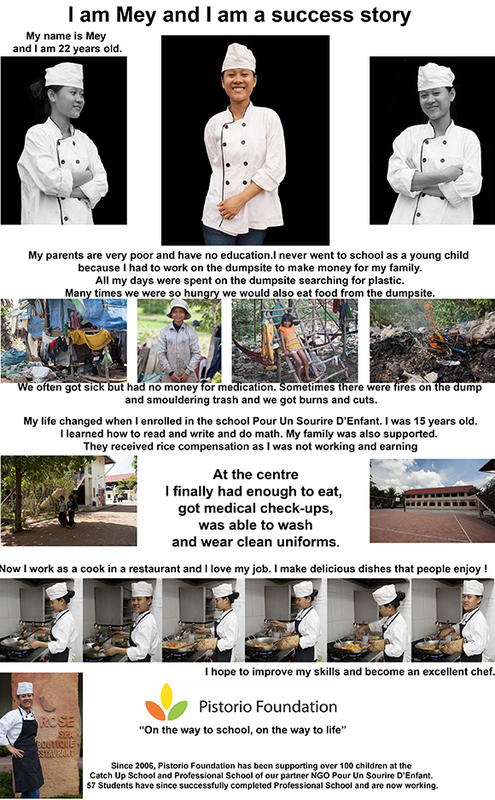 The Scholarship for students covers the salaries of the teaching staff and of the two kitchen staff. 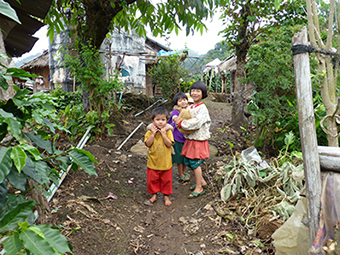 The Chiang Rai Village Project is our flagship project and its aim is to increase the enrolment rate and access to quality education of hill-tribe minorities while assisting communities and villages to become self sustainable through agriculture and income generation programs. 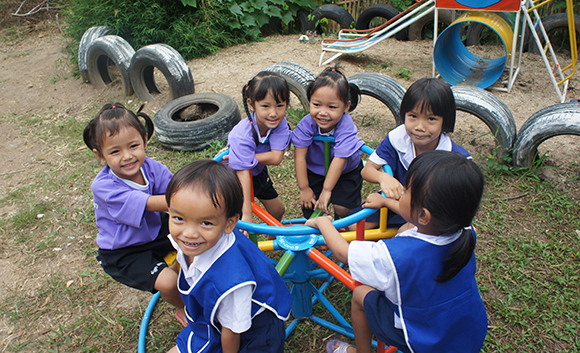 In Thailand, we support the education of over 1,900 children and have completed over 32 school infrastructure projects, including primary and secondary schools, kindergartens and preschools, dormitories, playgrounds, sanitation facilities, kitchens, canteens, sports fields, libraries, and computer rooms. We have also provided 3 clean water systems and we run a yearly mobile clinic program for 16 villages. 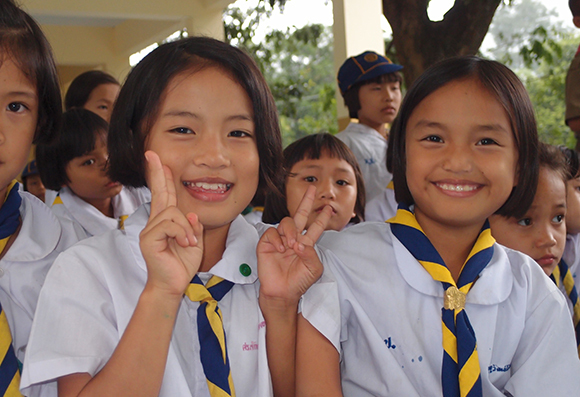 Primary School children in one of the schools built by the FoundationDespite Thailand’s economic growth, large pockets of society have been left out of this progress, particularly refugees and ethnic minorities. In Thailand there are still 600,000 primary school-aged children out of school and 10% of the population lives on less than 1 US$ a day, with the poorest regions being the north, northeast, and far south. 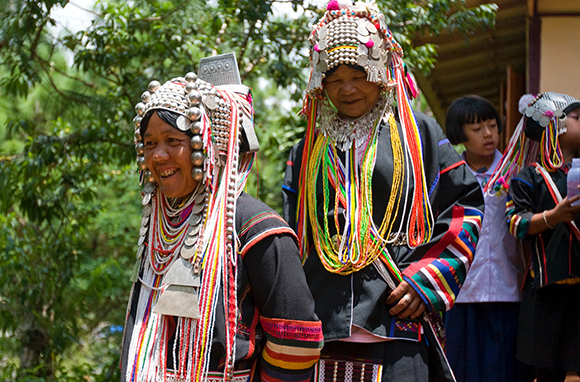 The hill-tribe population is estimated at about 1 million, only 50% of which are registered. 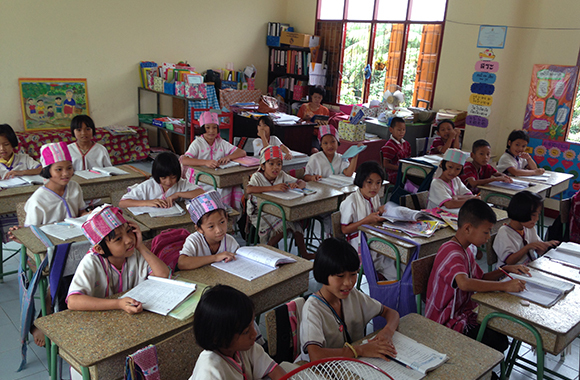 Only 19% of hill-tribe minority children are enrolled in secondary school (Mirror Foundation). According to UN Inter Agency Project “Ethnic minorities from the northern Hill Tribes, particularly women and girls, are especially vulnerable to human trafficking due to lack of citizenship, poverty, and lack of education.” According to UNICEF, the challenges faced by Hill-Tribe children include access to education, trafficking, child labor, poverty, stunting, malnutrition, exposure to drug and alcohol use. The Pistorio Foundation provides educational opportunities to disadvantaged minority hill-tribe children in their villages so that they can live with their families while attending school. We provide transportation to school, school supplies, uniforms, meals in school, and medical assistance for these children. We supply soap, toothbrushes, and towels to children. We have built school infrastructure facilities in a number of very remote villages where daily transport to school was not possible. In addition, we have built dormitories and support dormitory fees of students from neighbouring villages of school campuses. 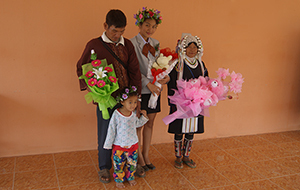 When necessary, scholarships also cover salaries of additional teachers in remote villages. 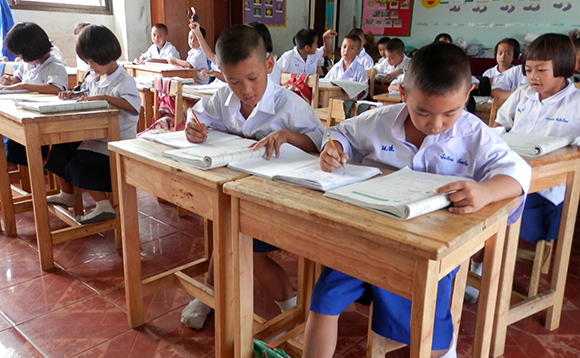 The Thai government will provide a teacher for every forty students, therefore the Foundation complements teaching staff where necessary in village schools. 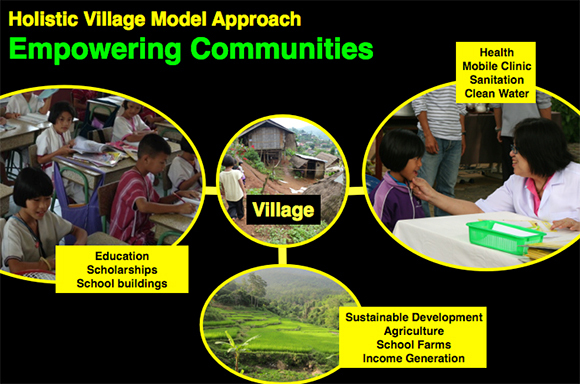 The Village Model approach is based on three main pillars: education; primary health care; and sustainable development. Underprivileged hill tribe village children are provided with scholarship support from Preschool to Professional School. 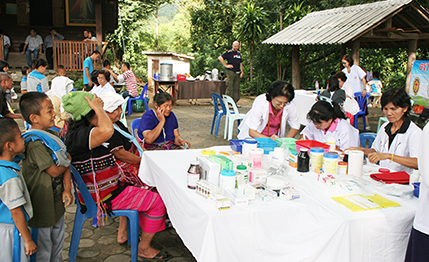 The mobile clinic program conducts yearly visits with a team of doctors and nurses from the Camillian Hospital in Bangkok and with Pistorio Foundation medical volunteers to conduct village wide health screenings, distribute medication for common ailments and train key village representatives and families on hygiene and prevention of common illnesses. Through the agriculture and income generation program we seek to help families and communities become self sustainable. Our goal is for each village to become self-sustainable within a medium term framework of ten years and in that framework of time to break the intergenerational cycle of poverty of families through education and income generation, effectively lifting entire communities out of poverty for long term impact. We would like to thank the Tan Chin Tuan Foundation for their support of the Primary School in Mae Pon, their contribution has funded one classroom of the school. For every program, at every phase of the project, from assessment of needs to implementation of projects, and monitoring of results and impact, we strive to involve the local communities as key participants. over 50% of houses are now made of bricks as opposed to 100% wood and straw roofs in 2006 and over 50% of households now own either a television or motorbike. The standard of living has vastly improved in less than ten years. Health has also significantly improved thanks to improved nutrition for children at the school canteen, to access to clean water through the new water system, to sanitation facilities built at the school, and to the mobile clinic screenings, and education on prevention, first aid, and hygiene. 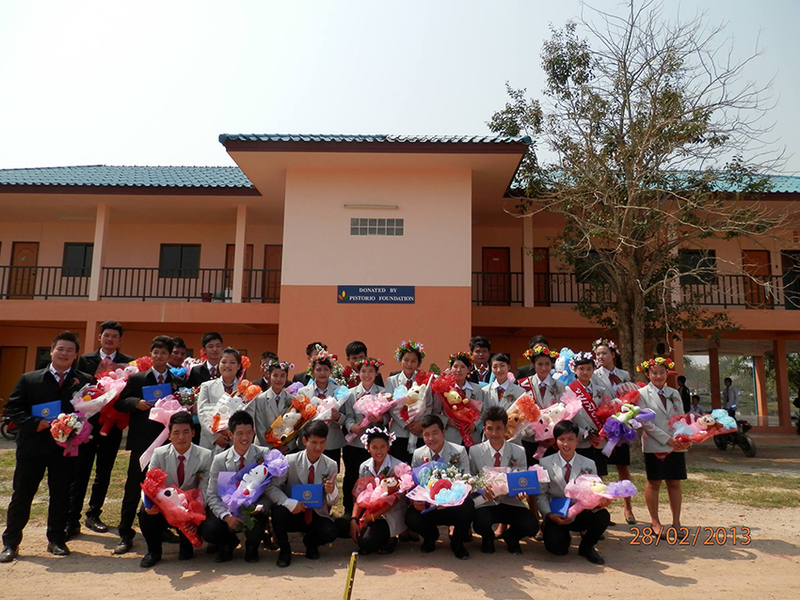 In Ban Mhai Pattanà, since 2006, the Foundation has built a primary school, kindergarten, dormitory, canteen, kitchen, sanitation facilities, preschool, playground, a clean water system. 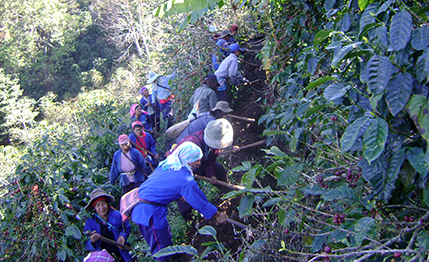 The families have been able to increase their income generation possibilities through the cultivation of coffee. The village has developed tremendously and the standard of living of families has increased above the poverty line. Based on these results, we will begin gradual exit from the village scholarship program, as families can now support now their children’s education on their own. We will identify the families that are still struggling and empower them through income generating activities. The experience of conducting an Impact Assessment has taught us an important lesson: as we had not collected data on the onset of the project in 2006, it turned out to be a challenge obtaining all desired data from our 2006 baseline for this study. Moving forwards we will be collecting relevant data and identifying key development indicators that can be measured over time. In the assessment conducted this year, beneficiaries, parents, teachers, village head, and other stakeholders were interviewed and questioned on a set of quantitative and qualitative indicators and how these have changed over time, based on their own recollection and available data from relevant regional government offices. Results prove that our investments have paid off tremendously, having enabled an entire village community of over 500 people to become self-sustainable. Our objective is to replicate and scale up this model to more villages. We would like to thank Bata for the generous donation of 500 pairs of shoes that have been distributed to children in the villages we support! 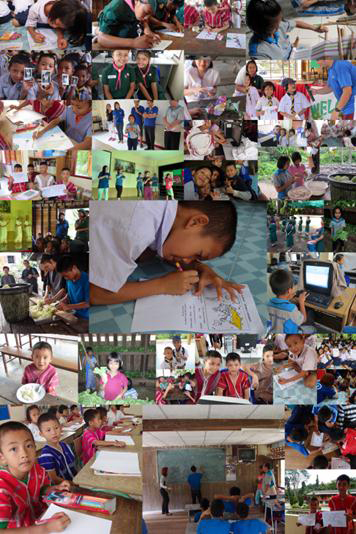 Thank you to the staff at Intel Singapore who generously donated 6 laptop computers that were distributed to six preschools and primary schools in Chiang Rai. The teachers will be able to improve lesson planning, source content, organize the calendar year and improve tracking of children’s progress and filing of their profiles and records. Laptop donations by Intel in Singapore and to village teachers. The Singapore Intel Involved staff worked their magic further by bringing six highly motivated and committed volunteers, Sheryl Teo (Team Leader), Andy Low, Vicky Lin, Ho Soo Pine, Peggy Khoo (Intel) and Molly Loh (Lions Club of Singapore Aces), to conduct a four day full immersion English language and computer program to over 230 children from primary to secondary school in the hill-tribe village of Mae Pon, Chiang Mai, where the Foundation has contributed to building a primary school along with other local partners, and renovated a former primary school into the Buitelaar Secondary School with the generous donation of Mr. and Mrs. Buitelaar from Singapore. The volunteers also exposed children to after school sports, games, and arts and crafts activities. Some of the in-kind donations in toys made earlier in the year by Intel office were distributed by volunteers adding more joy and fun. The A-Star team also raised funds for the Foundation amongst their staff and reached their target of 25,500 SGD to support the 180 children on Foundation scholarships in Mae Pon Village! Here are some accounts of the trip in their own words: “It is amazing to see the children participate enthusiastically with high level of energy. We were completely drained by the end of each day, as we ran from class to class in the day and spent our late evening planning for lessons for the next day. However, our effort paid off when we saw how the children progressed from being “very shy and not using any English at all” to be able to “confidently screaming their answers in English to every of our questions “…The children benefited from full exposure to the immersion of the English language through the relevant topics and activities we conducted. “..I only see smiles and eagerness to learn whenever we interact with these children. I’m happy to see that our donation is going to the right place where indeed our help is needed.” Vicky Lin. Congratulations to all our 65 students who obtained their Professional Degree in 2013! Our students have obtained degrees in a range of subjects including Nursing, Tourism and Hospitality, Mechanics, Accounting, Mechanics, Agriculture, Information Technology, and Electronics. In Cambodia, 20% of the population are below the poverty line, 39% of children between the ages of 5 and 14 involved in child labor, only 62% of children registered at birth, 6.3 million people lack access to clean water, and only 35 % are enrolled in secondary school. Despite progress made in primary school enrolment rates in recent years, Cambodia is still faced with many challenges in their commitment to fulfil and protect the rights of children. (Unicef and CIA World Factbook). Following a field visit to the PSE Center in 2006, impressed with the strong results and organization of Pour Un Sourire d’Enfant, the Pistorio Foundation decided to partner with PSE and support the education of 150 children at the Center. We have been following the progress of these children, and have been delighted at the excellent results achieved so far. Our beneficiaries were former street children and dump labourers in Phnom Pehn who were scavenging for plastic for resale. They come from extremely poor and mostly broken families, and had been working as scavengers since they were very young. 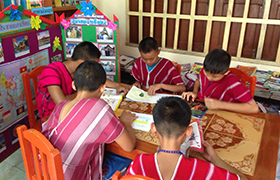 Children follow a “Catch Up School” program for children to complete their whole schooling in 6 years instead of 12, and older students join Professionals Schools at the Center. To date, 58 of students have completed Professional School, and nearly all are working (we have lost contact with some of them). Professional Schools offer diplomas in Tailoring, Baking and Pasty Making, Gardening, Housekeeping, Child minding, Hair Styling and Spa, Plumbing, F&B, Masonry, and Cooking. Salaries of alumni are now at least three times greater than that of their parents, and they are able to support themselves and help their families and younger siblings. They have effectively broken the intergenerational cycle of poverty thanks to education and obtaining a Professional School Degree. The success of graduate students serves as an encouragement for parents to continue sending their children to school and they serve as role models for other students. The few students that drop out of the program do so mostly because of family relocation following the closing of the nearby dumpsite or because the family has forced the child to work to generate income. The center allows children to wash in the morning when they arrive. The Scholarship covers school uniforms, school supplies, three meals in school (breakfast, lunch and snack), toiletries, basic health care, teacher salaries, social workers salaries, and a ratio of rice given to families to deter parents from having to send their child to work. The student teacher ratio is very low, with maximum 35 students per class, as compared to 45 national average. Teachers have less than 5 days of absence per year. The Professional Schools of the center are recognized by the Ministry of Labor and Professional Training, and the Hotel School follows the Asean curriculum. The government has asked PSE to form a part of the strategic committee to plan public vocational centers in Cambodia and the Catch Up Program will be deployed by the government in 8 provinces in Cambodia. 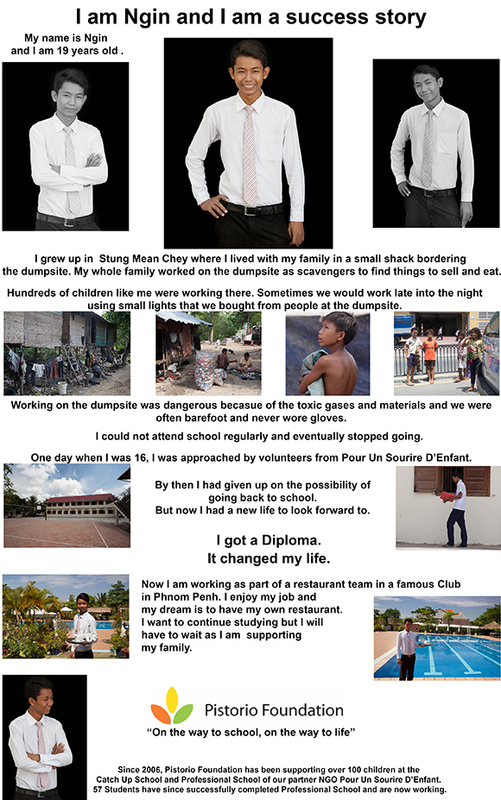 We would like to thank Carolyn Strover of Havoc for having volunteered to document the success of some of our beneficiaries, creating the following poster collages that have been displayed at many of the Foundation’s events in Singapore. The images and stories are heart-wrenching, considering that most of our beneficiaries started their education as late as their teens, after a childhood spent scavenging, with a household income that did not exceed 4$ a day to support more than five members living in the same shack, living in broken homes, struggling with house rentals of up to 120$ to be paid, siblings to take care of, indebtedness due to illnesses of one or more of the family members, subjected often to domestic violence, malnourishment, easily contracted diseases which they could not afford medication and cure for, and to all forms of exploitation on the streets. The Singapore Chapter raised S$ 137,090 this year, and 100% of this, S$ 137,090 has been used to fund scholarship programs in Thailand for underprivileged hill-tribe minorities! We are ever grateful to our tireless team of volunteers who work together to create fundraising opportunities for our cause. 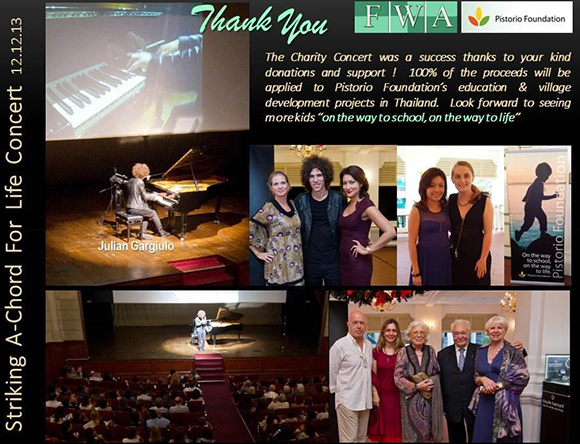 The highlights of the year were the Charity Concert of the very talented Julian Gargiulo in May at the Raffles Jubilee Hall. Our deepest gratitude goes to the generosity of Julian Gargiulo, to our event partners STMicroelectronics and the Italian Cultural Institute; to our sponsors Borneo Motors, Crossinvest, Encore, Keppel Offshore & Marine, National Instruments, Union Bancaire Privee, Small Luxury Hotels, Zardoze, Alfero Gelato, Havoc, Singapore Tatler, Autoctonous Wines, Green Prints, and System Sovereign. The event was featured in Singapore Tatler of August 2013 in the article “Key Notes”Singapore Tatler August 2013. Following the great success of this concert, with the support of the Financial Women’s Association in Singapore, another concert by Julian Gargiulo, “Striking A-Chord for Life”, was held in December, hosted by BBC’s Sharanjit Leyl, and attended by Pasquale Pistorio, FWA Presdient Chin Loo Low, Italian Embassy Deputy Chief of Mission Gianluca Rubagotti. We would like to extend our sincere gratitude to the Financial Women’s Association who have chosen the Pistorio Foundation as their Charity beneficiary this year. The partnership has been extremely important for the fundraising, networking, and volunteer support it has generated for the Foundation’s cause. We would like to thank also our generous sponsors Indian Ocean, Amala Destinations, Zardoze, Q Menswear, Marukuy, Club Vivre, RoyalMail, Claude Bernard, Rosso Prezioso, Autium, Harper’s Bazarr, System Sovereign Creatives, Kim Robinson, Space & Lifth Yoga, Certain Cellars, Lolla, Peachy Pixx photography. A warm thanks to our dedicated and tireless volunteers both from the Foundation as well as from the Financial Women’s Association in Singapore who have made this possible! Another star champion of our cause, event manager and philanthropist Juliana Benelli organized several events throughout the year in benefit of the Foundation. Juliana creatively managed very special events attended by local celebrities and prominent personalities: a Moroccan Cooking Class at the Singapore Island Country Club led by Laila Jabry and a sumptuous Italian Gourmet Wine Degustation Gala Dinner at the China Club with celebrity chef Roberto Galetti. The event also featured the brilliant east west fusion ensemble formed by musicians Tse, Wendy Stimpson, and other local talents. Our supporters have demonstrated incredible talent and determination in raising awareness and funds for the Foundation. Zumba Instructor Zuri Kumarly launched an initiative to donate proceeds of the entire year of her Tuesday Zumba classes to the Pistorio Foundation, with a kick-off event in April at Scape in Orchard Road. Similarly, Peggy Khoo and Ee Lin Tan and their team at Intel not only conducted a field visit to the village of Mae Pon to provide valuable English language and IT classes for one week, paying for their own expenses during the trip, they also managed to raise over 25,000 SGD which was enough to support the 80 underprivileged children of Mae Pon for one year. Hats off to this amazing team and their outstanding contributions! At the beginning of the year, Intel Staff and Standard Chartered, led by Umberto Alessandria, managed to execute an impressive in kind donation drive of children’s clothes, books, and toys, collecting over 40 boxes for a total of more than 800 kg that were shipped to Thailand. Thank you very much also to DB Schenker for providing the shipping pro bono! 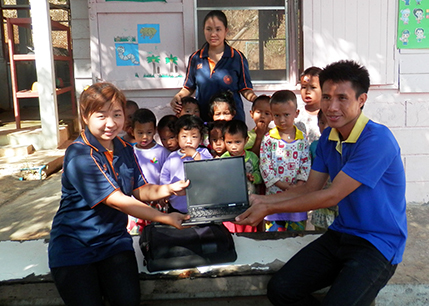 Finally, thank you to Intel staff for donating 6 laptops that are now being used by pre school and primary school teachers in Chiang Rai. Thank you to Zomedia for their partial sponsorship of our flyers that are available online on our website in electronic version: http://www.pistoriofoundation.org/wp-content/uploads/2014/03/flyer_2014r.pdf, and for allowing us to place Foundation postcards in their racks around Singapore at no cost! This was a tremendous aid in allowing the Foundation to raise awareness in the Lion City. Thanks to the efforts of Margaret Dragone, Mario Orlandi, Board Members in Milano, and contributors including Ettore Martinelli, our Inaugural Charity Dinner was a great success! We would like to thank whole heartedly all those who ventured to the outskirts of Milan to learn more about our work and help raise funds for our project in Burkina Faso. 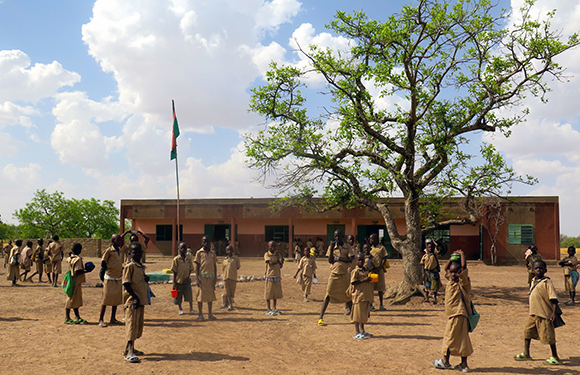 The event raised over 21,000 Euro for the expansion of the Secondary School in Burkina Faso built in 2009 by the Foundation. A special thank you to our sponsors: Shambala Restaurant, Small Luxury Hotels (SLH), Dieffetch, AGC Arti Grafiche, XID Technologies, ALLOVER, GENERALI Assicurazioni, Brembo, and Kerakoll. We were graciously honored by the presence of Milly Moratti, President of Emergency, Italian political figure and Artistic Director of Inter, among other distinguished guests who attended the event. During the event, Founder and President Pasquale Pistorio delivered a presentation of the Foundation and its recent developments. Thank you to Maria Grazia Maraffa of Istitituo Privilege in Ostuni for donating full revenues from one day of the SPA to the Foundation! This is the fifth consecutive year of this generation donation, certainly a shining example to follow by all businesses!